I rented a load bank. I wanted a 30kw but they only had a 100kw so I won’t be able to get much variations in the load to test with. I took much longer than I should have to figure it out. Turned out the primary fuel pump went bad?. It was pulling 16amps not making pumping noise then tripping cb1. 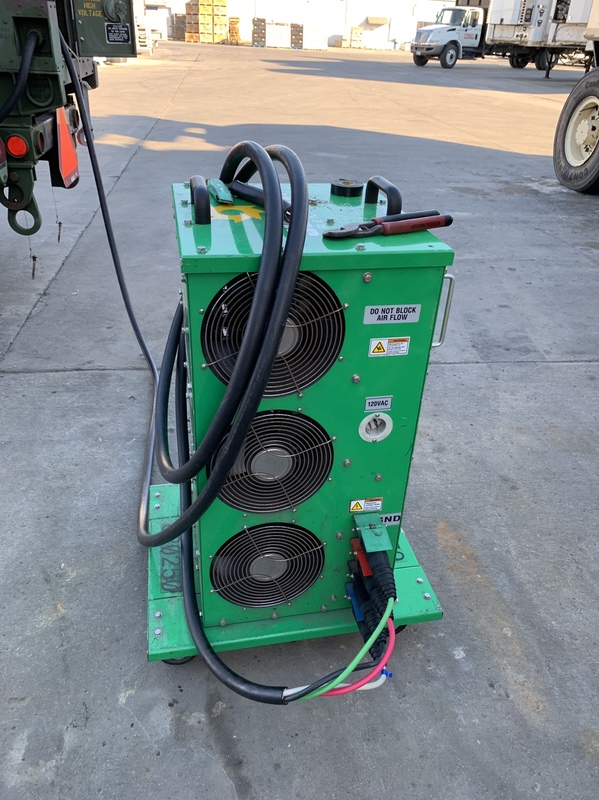 So I stole a fuel pump from another generator and warmed it up and played with the load bank for a little bit before it was dark. I will run it for real when it stops raining. After doing a short 15 minis of warming up to 11kw I set it to 15kw and it ran for about 15 mins then the overload light came on and it dropped the load. I need to find in the TM the overload parameters so I can test to see if it’s working. If anyone can point it out to me that would be helpful! Also, given my above options of load, will running this generator all day at 11kw be a good enough test/work out? Last edited by bosko; 01-07-2019 at 03:59. I run mine single phase, resistive load (electric stove): 52 amps x 240 volts = 12,480 watts.....call it 12.5Kw maximum capacity. 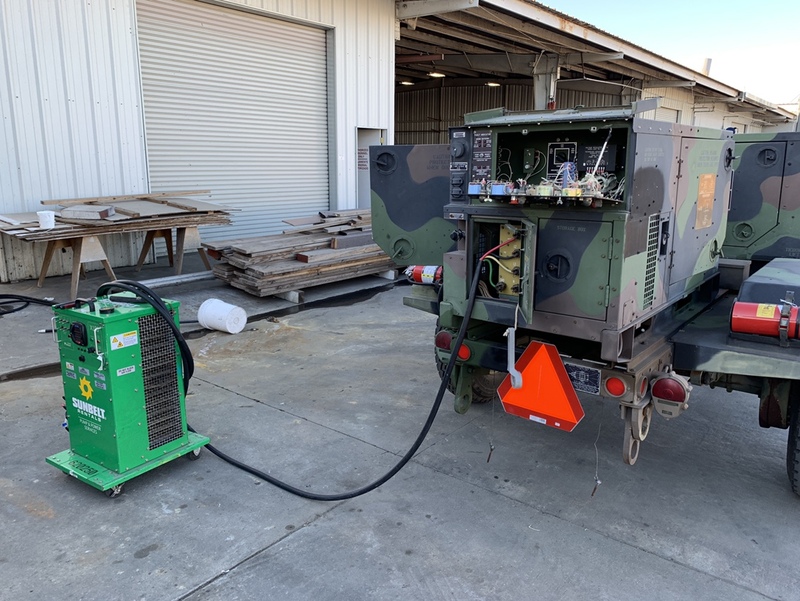 Military derates the machines by 20% (Rated at 10Kw). The Rating ID plate (in TM and bolted to machine above fuel cap) gives you 34 amps in 3 phase. 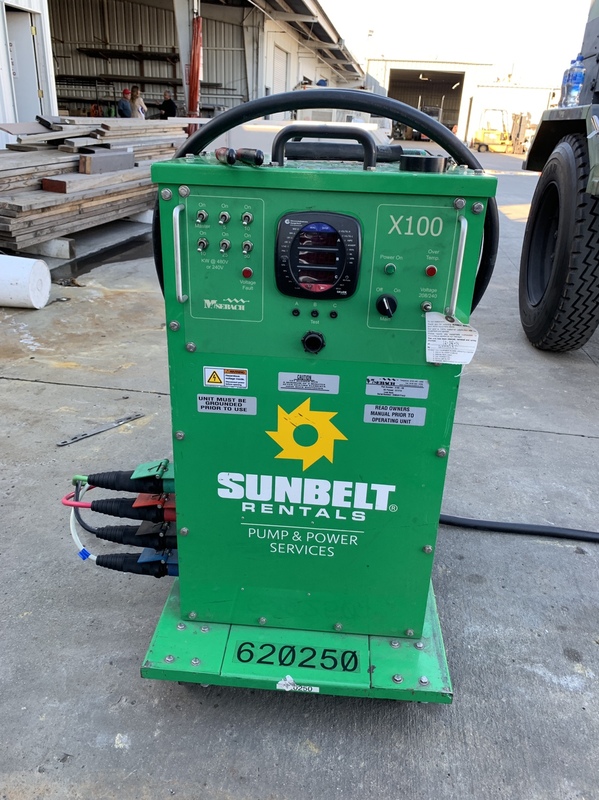 You will need to research the proper calculation to determine maximum watts the machine can pull but you might be expecting it to pull more load than it is built for. Its a 10k generator with a bit more. 15k is alot more. I would do 11k and if you dont see major black soot/smoke in a few minutes i could call it good. Overloading it could be dammaging to the generator. That kind of defeats the purpose of a maintence load test. How much does it cost to rent a load bank? I think we should have a discussion about ratings. These things are rated as primary power sources. This means they can provide their rating full time without damage. That is10kw of resistive load. To do that with reliability you MUST have some overhead on the prime mover side and the electrical side for environmental conditions. The fact that we CAN load these things above the "rating" means we are dipping into the extra factors engineered into the set to achieve the 24/7 (PRIME) rating. Please don't expect one of these sets to make 15kw for any length of time. I always "TEST" my units above nameplate because that can quickly show a problem but I don't expect one to be able to run 133% for long. Personally I would call 15 minutes at 15kw a monster win and not do it again. Oh, and I would never do 15kw in single phase mode. And your opinion is well taken here....and I agree completely. Thank you for the reminder to all. I don't know why people try to beat these generators up repeatedly for no good reason. Used as intended, they will pretty much last a very long time and perform well. I find it similar to guys that take out four wheelers and try to wreck them every chance they get, then have to spend unnecessary money in repairs, only to go out the next weekend and do it again. I know the engine will handle it, as its rated for higher from Lister from the factory... but yeah, no need to whip a horse just because you can. I test to about 13.5kw and if it pulls, shes good. Make sure you are considering apples to apples. The engine from Lister is rated for ~18kw without accessories. No fan, alternator, or generator head. You don't have not as much overhead as you might expect looking the factory ratings. I hadn't read the fine print on their tech document on the LPW4, but everything you said is correct. Kind of silly... but I suppose all manufacturers dabble in the grey area of "marketing facts". I love this community since we all come together to learn and share. You guys are what make it great! Together we are strong.